The LAFD demonstrates how drones have improved their efficiency in the field. 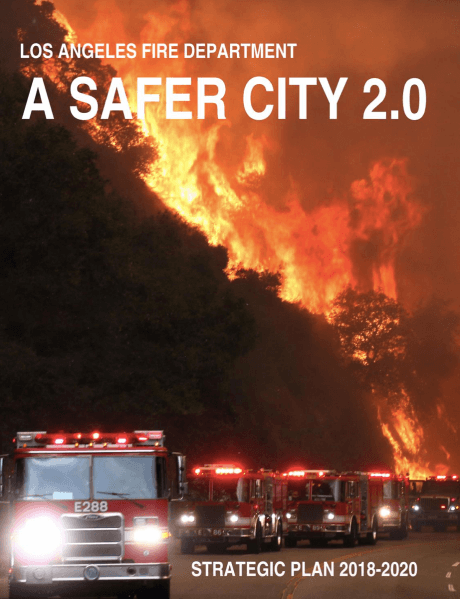 Consisting of 106 stations and more than 3,500 fire personnel, the Los Angeles Fire Department is a reputable public safety agency, protecting more than four million people in America's second largest city. With a vision of providing exceptional service to the communities they serve, the LAFD proactively explores and implements new technologies for operational purposes. It is one of America’s first major metropolitan fire departments to deploy drones during fire suppression missions, which has improved the efficiency of both their training and how they respond to high-risk incidents. So far, the agency has used DJI’s industrial aerial drones for more than 175 incident-related missions. This includes the Matrice 200 Series, the Matrice 600 Pro, and the Phantom 4 Pro. Each is equipped with visual and thermal imaging cameras that provide real-time video footage and data transmission to incident commanders. At the time, the LAFD’s air operations were carried out by the six helicopters owned by the department. It would take each helicopter approximately one hour to make a round-trip flight from the incident scene back to the helipad. Moreover, trying to fly in urban environments often presented obstacles. For one, helicopters are not allowed to fly below a certain minimum altitude. Second, helicopter propellers emit a loud noise, which makes it difficult to capture actionable intel. Challenges like this often hindered the team’s progress during SAR missions and hazardous materials responses. Easily deployable and equipped with great agility, drones can be launched and can provide vital information to incident commanders within minutes. Real-time aerial surveillance enables incident commanders to make informed decisions on how to act or what resources to allocate. For example, the LAFD frequently receives calls about lost or injured hikers in the Hollywood Hills. SAR missions of this kind usually require helicopters, ambulances, and other emergency resources. However, with a drone at hand, operation teams can deploy swiftly, acquiring visuals and thermal imagery instantly and to allocate resources effectively. Immediate actionable aerial intelligence provides enhanced situational awareness, which allows incident commanders to make fast and sensible decisions. “The key value of drones during emergencies is receiving useful information incredibly fast,” commented Chief Richard Fields. One of the most useful sources of information for emergency incidents comes from thermal imagery. Being able to identify people and objects allows first responders to immediately locate interest points, such as hotspots during building fires and victims during rescue missions. The LAFD’s drone fleet features DJI’s mission operation solution. This includes the Matrice 200 Series drone platforms as well as the Zenmuse XT and XT2 thermal sensors. Thermal-enabled drones are critical during SAR and fire suppression missions, cutting response time by up to 80%. In the department’s latest drill, two groups of 50 staff members were required to carry out an SAR mission. The second group was provided with a DJI drone, equipped with visual and thermal sensors. It took the first group over 20 minutes to locate the victim. However, the second group’s incident commander was able to find their victim within three minutes, thanks to the infrared signature captured on their drone. 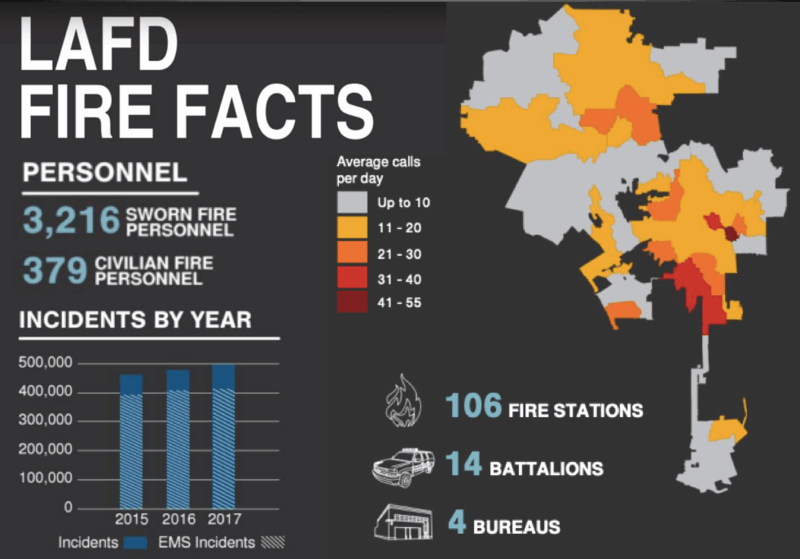 As one of the nation’s finest public safety departments, the LAFD has made extraordinary strides in providing emergency and non-emergency services to its communities. In their strategic vision for the future, the LAFD plans to continue implementing advanced technology into their department operations. The usage of drones has been critical in the advancement of their emergency response services. As Chief Richard Fields puts it, “Timely and accurate communication is essential in getting the right resources in place to mitigate an incident.” The LAFD’s use of drone technology has provided first responders greater awareness and access to critical information, which has resulted in safer decision-making. 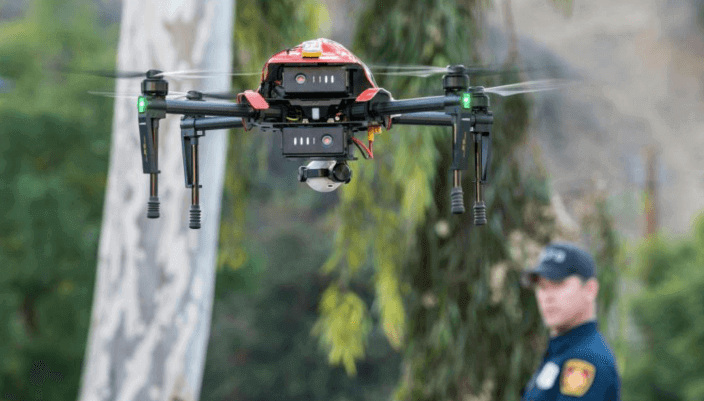 In April 2019, the LAFD announced a Solution Development Partnership with DJI to create, test, and deploy drone technology as an emergency response and preparedness tool. The agreement marks one of DJI’s largest partnerships with an American fire-fighting agency. Over time, the LAFD will have access to new technologies as well as training and support. Learn more about this partnership here. 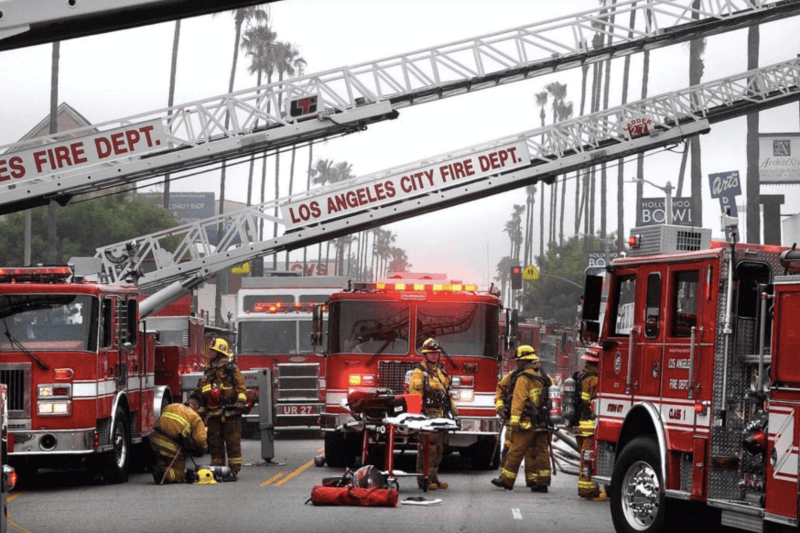 DJI has continuously collaborated with departments like the LAFD by offering educational programs and hands-on training in drone technology and R&D. To learn more about past projects read our DJI Enterprise White Paper. Drones are changing how government agencies serve the public in significant ways. While drones have gained an early foothold in public safety, enterprising government agencies and departments are exploring their use in other areas, from transportation and public works to planning and environmental services. For more information about setting up a drone program and learning about the best practices to consider as you evaluate how drones could help meet the needs of your community, download this comprehensive report.